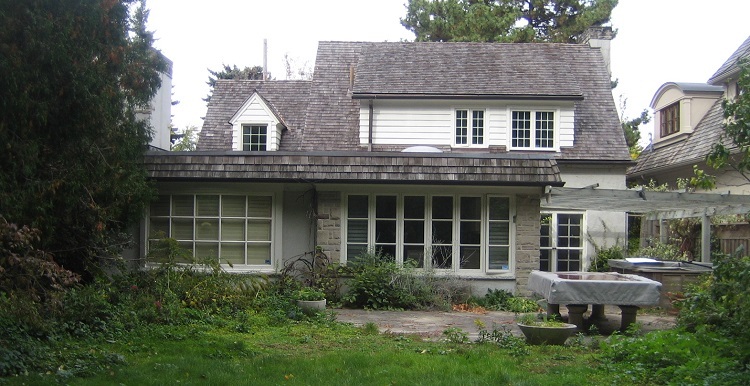 How do I find out if the property is affected by TRCA’s regulations? If the property is regulated, how do I find out what I can build on it? How Do I Find Out If a Property is Affected by TRCA Regulations? OPTION 1: Take advantage of TRCA’s Property Inquiry Service (Solicitor/Realtor/Compliance Search). A copy of a map of our regulated area (if available) if it intersects with the property. This letter provides a formal record of the inquiry and provides valuable information to the client when making decisions to purchase, build on, re-grade or alter natural features on the site. In other cases, the letter serves as official confirmation that the property is not affected by Authority policies and regulations, and provides the client with added peace of mind. TRCA staff cannot advise you on whether or not to purchase a property; we provide the facts to help you make an educated decision. The fee for this service is $325. For more information on how to apply for this letter, please consult our Property Inquiry Submission Checklist. Due to the high volume of inquiries and the information required to conduct a review, TRCA focuses its inquiry service on written requests. Staff require at least two weeks to reply. OPTION 2: Check Our Regulated Area Search Tool and Consult with TRCA Staff. Note that the information in this tool is not intended to constitute advice nor is it to be used as a substitute for specific advice from a qualified professional. You should not act, or refrain from acting, based upon information shown in the viewer without verifying the information with TRCA staff and, as necessary, obtaining professional advice regarding your particular facts and circumstances. OPTION 3: Speak with a Walk-in Planner at the TRCA Office. For immediate planning assistance of a general nature, a walk-in planner is available between the hours of 8:30 am and 4:30 pm. However, this service cannot provide detailed advice. Detailed information about specific properties and proposals should be obtained by booking consultations with our planning staff in advance either via the phone or in person. If a Property is Regulated, How Do I Find Out What I Can Build on It? If you’re a potential buyer or seller seeking TRCA’s preliminary review of a specific development proposal for a specific property, your best course of action is to submit a Concept Development Application. The fee for this service is outlined in our Planning Fee Schedule. Payment can be provided via personal cheque addressed to Toronto and Region Conservation Authority or by providing credit card information on the application form. TRCA is under no obligation to meet real estate deadlines, in the instance of an offer to purchase. Providing adequate timing is the responsibility of the agent/owner/purchaser to resolve file review, potential meetings, and discussion on complex issues. 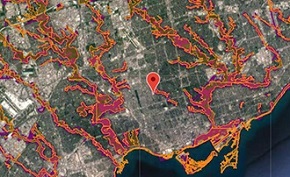 The Fee Schedule adheres to the Provincial Ministry of Natural Resources Policies and Procedures for Charging of Conservation Authority Fees, the TRCA's Fee Policy Guideline 2009, and the range of planning services consistent with TRCA's Memorandums of Understanding with area municipalities.